In the present situation, innovations are taking place in the world. Intex is known for their electronic products. The Intex is a popular mobile manufacturing company in mobile field. The company has launched many splendid mobile phones in India. Intex has got superior answer from their mobile phones in the world including in India. 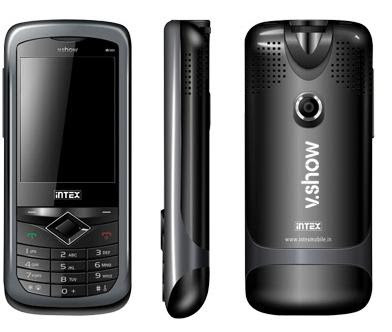 Intex launched a new superb mobile phone that is Intex Second Projector IN 8809. The Intex IN 8809 Projector Price in India is confirmed at Rs 6300. The Intex IN 8809 Projector Features are splendid and dynamic. The mobile phone is having dynamic looks and design with stylish body. The handset is having dual SIM GSM facility. 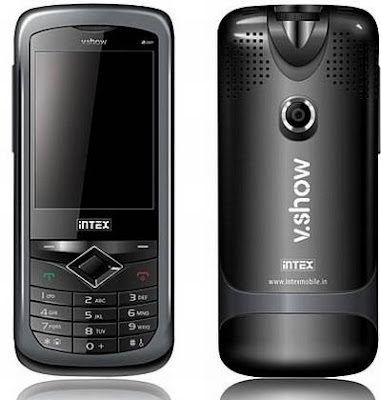 The Intex Second Projector IN 8809 is a bar form factor mobile phone. The internal and external memory is available in the handset with good display screen. The mobile phone is provided with camera facility which can give beautiful snap with good battery backup ability. The 3.5MM audio jack facility is also available in the Intex Second Projector IN 8809. The mobile phone is available in stylish black colors. The Intex Second Projector IN 8809 specifications are extraordinary and brilliant. The mobile phone is provided with 2MP digital camera facility with video recording facility. The resolution of the camera display is 1600 x 1200 pixels. The handset is having 2.4 inches brilliant display screen which can give clear image. The mobile is well enabled with MP3 and MP4 player facility with lots of games facility. The weight of the Intex Second Projector IN 8809 is 142 gm. The mobile phone is having 1000 mAh standard battery which can give up to 3.5 hours talk time and standby up to 168 hours. The Intex Second Projector IN 8809 is having 87MB internal memory and 16GB external memory with MP3 ringtones facility. The document editor is also enabled with handset which can help to see MS word excel and PowerPoint files. The mobile phone is enabled with mini opera browser facility with GPRS and BOLT browser facility. The Bluetooth is also enabled with the Intex Second Projector IN 8809 with FM radio facility. The social networking facility is also available in the handset with WAP browser facility. The motion sensor is also available in the mobile phone with 118 x 51 x 17.5 dimension. The Intex IN 8809 Projector Review are floating on the internet. The model is supposed to get good response from the Indian mobile market. the performance of the mobile is expected to better.